This ‘stat of the week’ is about YouTube views. 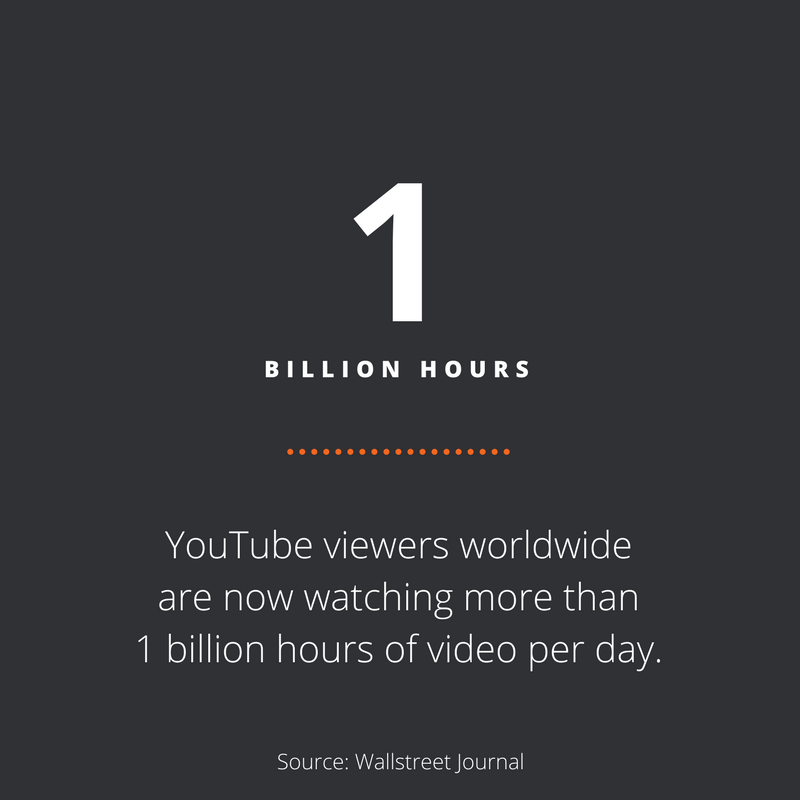 According to the Wallstreet Journal, YouTube viewers worldwide are now watching more than 1 billion hours of video per day. Are any of them your videos?